Shindy is coming back! Quintessential New England musicians Randy Miller and Roger Kahle will be here as a duo but they will bring plenty of musical horsepower to Tracy Hall as the video below of them playing "The Hunter's Purse" demonstrates. 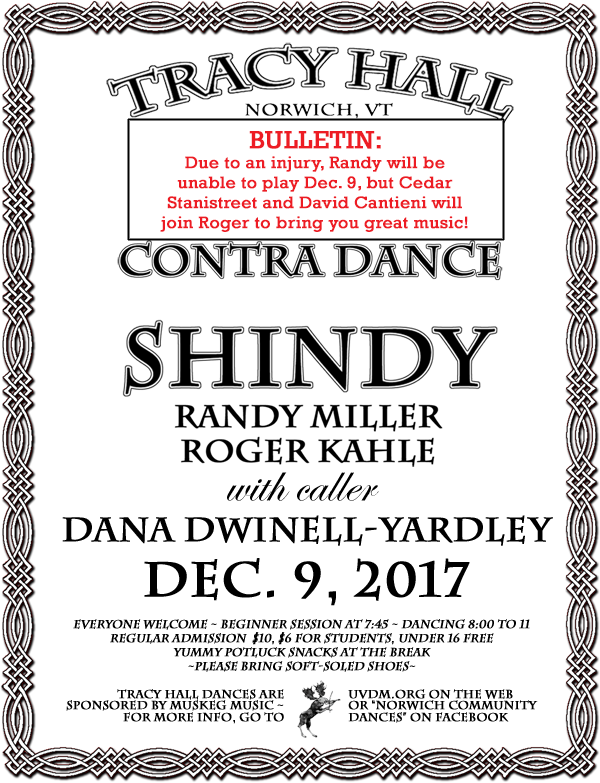 Randy Miller grew up in southwestern New Hampshire dancing, listening to, and playing New England dance tunes. While influenced by a diversity of great musicians, his own style is a perfect fit for energy-hungry dancers. Learn more about Randy and his music HERE. Roger Kahle is known for his clean, powerful guitar work in Irish, Quebecois, and Balkan styles. Besides playing alongside Randy Miller in the bands Shindy and Celticladda, Roger is also a member of Sheepskin Beeswax. Learn more about Roger HERE. 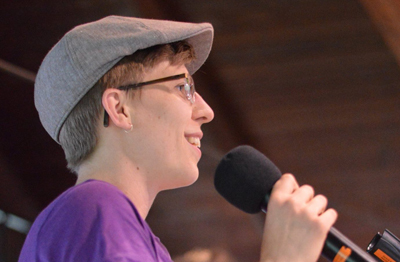 Dana Dwinell-Yardley describes herself as "an enthusiastic contra dancer, dance organizer, and dance caller" who takes great delight in making sure the dance is smooth and joyful for everyone. She wants all dancers to find an inclusive, intergenerational, and welcoming dance culture, clear communication and consent, and is always looking for the best way to teach a dance. A native Vermonter, Dana is proud to have Montpelier as her home dance. She’s probably the one whooping loudly from the back of the Capitol City Grange hall when the tune changes excitingly.